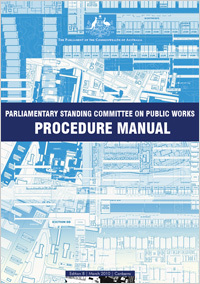 The Parliamentary Standing Committee on Public Works conducts inquiries into matters referred to it by the House of Representatives or a Minister of the Commonwealth Government. The Manual of Procedures for departments and agencies has been updated. Proponent agencies must ensure their submissions comply with the latest manual, issued March 2010.